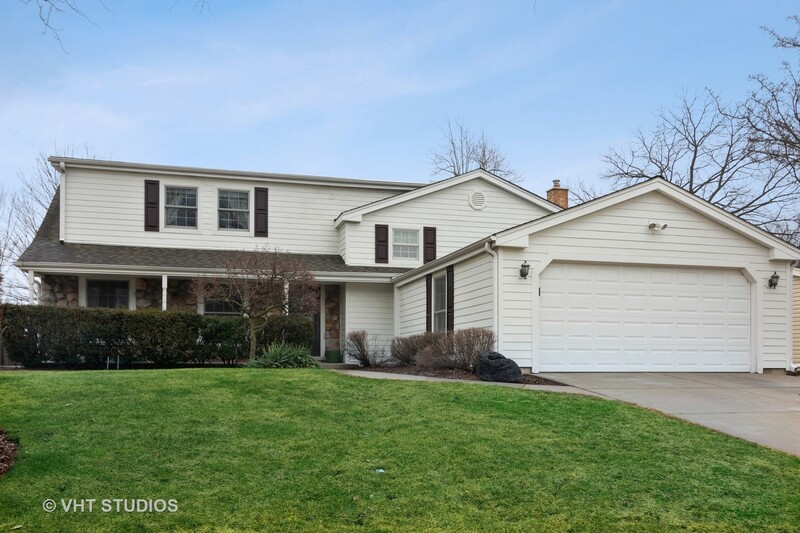 Spacious 4 bedroom tri-level with a wonderful layout for the whole family. Bright living & dining rooms are perfect for entertaining. Enjoy cooking in this wonderfully remodeled kitchen with granite counters, stainless appl with Kitchen Aid Full Stainless Dishwasher(quiet) & Convection Microwave Oven. Timeless solid wood cabinetry with under cab lighting too! Kitchen overlooks lower level family room with fireplace, built ins, wet bar & plenty of windows allowing great natural light. Second level boasts three bedrooms, one is large 2nd master with private bath & two additional generous sized bedrooms with hardwood floors. Third level has enormous master en suite with full private bath, sitting room & walk in closet - perfect retreat. Newer Cedar Fenced backyard with patio! Home has been lovingly maintained and cared for. Newer carpeting Living & Dining room. New Sump Pump & New Dryer in 2019. Ideally located to shopping, restaurants & top rated schools, come meet your new home!